The very latest technologies are bringing massive cost and lead time benefits to prototyping. In fact very few technologies have offered as much as rapid prototyping technology (RPT) has in the last 5 years. RPT is a technology that turns digital designs into 3-dimensional solid objects for production of machine parts, models, prototypes, and moulds. It builds solid objects one layer at a time, producing high quality models overnight instead of taking weeks or months. RPT is an umbrella term used to describe one of a number of processes such as selective Laser sintering (SLS) and 3D metal printing. 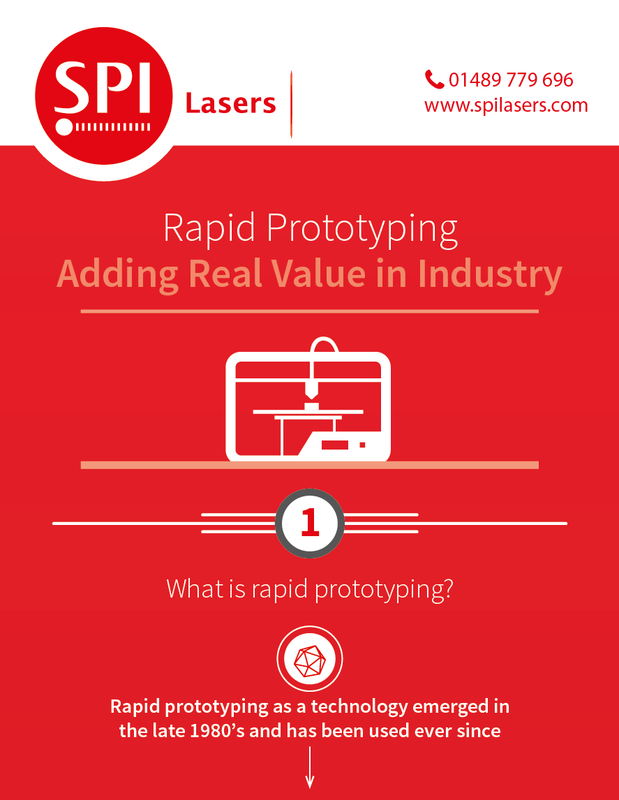 Click on our infographic to the right see how rapid prototyping has added real value to industry. Using these methods it’s possible to create even the most complex shapes. The process can take many hours, or in some cases, even days but this is rapid compared with the alternative methods. Although there are very different ways of creating the end result, all types of rapid prototyping share the core principles of adding very fine layers together – hundreds of thousands or more – which bond together to create the final shape. This layering and bonding process is known as an additive technology, creating a 3D prototype by adding materials together. This is in contrast to more conventional techniques which are subtractive, such as turning or milling, where materials are removed to create the end result. The term rapid metal prototyping is somewhat of a misnomer as it implies that the process is only suitable to make a non-functional part. However, the advancements in technology mean that rapid prototyping metal can be used to create live working parts. A metal rapid prototype may not be a prototype at all, but a product suitable for functional use. As the name implies speed is a major benefit of processes such as selective laser sintering. Whereas earlier technologies may have taken days or even weeks to produce a prototype, these latest technologies can produce a prototype virtually overnight. If lead time is reduced, it is likely that costs are reduced too. This not only allows organisations to reduce bottom line costs but also allows them to produce alternative prototypes cost-effectively. Rapid prototyping also enables cost-effective and speedy fine tuning throughout the prototyping process. Designs can be more easily amended and refined, virtually within minutes. Rapid prototyping is enabling organisations to develop ever more efficient parts, components and new products. Businesses can offer more effective and creative solutions by easily and speedily creating prototypes for their clients or potential customers. In some areas, rapid prototyping metal could technically be considered as rapid manufacturing too. Manufacturing is often considered as a process which involves large numbers of the final product but this isn’t necessarily the case. A rapid prototype metal design provides the opportunity to create the finished product quickly and efficiently while avoiding the usual longwinded and expensive processes which can may make production in low numbers prohibitive. One great advantage of rapid prototype technology therefore is that it creates the opportunity to manufacture complex shapes in lower volumes at an economical rate. 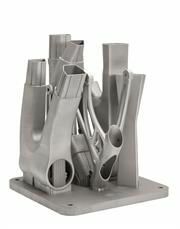 These same technologies include processes such as selective Laser sintering (SLS) and 3D metal printing, are also enabling companies to produce cost-effective short runs. The evolution of additive technology such as rapid metal processing has allowed industry to become far more creative too. Complex geometric forms, or those where multiple parts have to be fabricated and combined simultaneously are difficult to achieve with subtractive technology yet this is the area that 3D rapid prototyping excels in. Metal rapid prototyping is a field which is generating a huge amount of interest at the moment, even in the mainstream arena where it’s often referred to collectively as 3D printing or 3D rapid prototyping. This surge in interest is helping to drive down costs even lower, making metal prototyping increasingly economical. For organisations creating prototypes using selective Laser sintering (SLS) and 3D metal printing processes we can offer many advantages such as improving the quality of the process, reducing costs, increasing turnaround and lead times and boosting quality control. Faster pulse rise times – shorter pulses delivered higher throughput and finer processing. Power stability at switch on leading to less instability seen in work-piece. Temporal pulse shaping. This is highly desirable as the process uses individual pulse in ‘point & shoot’ or continuous vector mode. Back reflection protection because even for powders some users may report issues. In process monitoring. Using the back reflection signal from PIPA fiber provides a unique opportunity for real time non-invasive process monitoring. To find out how we can improve your Rapid Prototyping processes please contact us on +44(0)1489 779696 or complete our online enquiry form and we will contact you.